Choosing a fence for your yard. 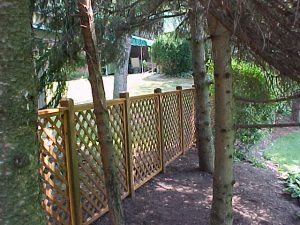 | Pittsburgh Fence Co, Inc. Choosing a Fence for Your Yard – Pittsburgh Fence Co, Inc. Installing a fence around your yard can change the appearance to your home’s current surroundings, but the reason many homeowners install a fence is for privacy and security. Whether you recently installed a pool or you want a bit more seclusion, Pittsburgh Fence Company has something that’s right for your yard and your budget. 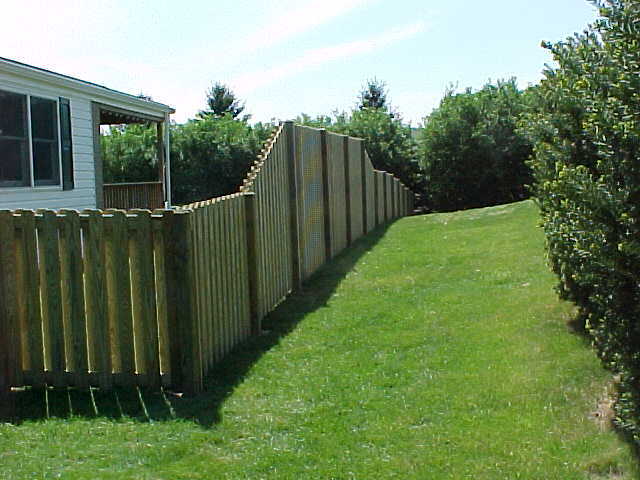 Nowadays, there is a large selection of fencing options to choose from and we have them all! This month, the experts at Pittsburgh Fence Company share their insight on the various fence types we install. Wood. An ode to Americana and the white picket fence, a classic wood fence can offer privacy, security and a touch of warmth and coziness to your exterior. Wood designs are almost totally customizable unlike factory-made panel systems and are a fan favorite among homeowners with children and pets. The cost of the fence will vary on its design. The price of a wood fence while affordable, can quickly add up depending on the style of fence you choose and how big. They may also require some maintenance as wood can rot, however treated wood has come a long way and should be fairly resistant to change. If a wood fence is something you fancy, there are hundreds of designs out there. Let us help you build it! A traditional chain link fence is a wonderful option for children, pet owners and those looking to fence something in. Unlike panel and post styles, chain link fences are nearly see-through thus they don’t produce a secluded feel. If you own a pool, this is a great option as the fence will deter intruders, but will also provide a clear glimpse into the pool area. Chain link fences are affordable and easy to assemble, but if you’re looking for privacy you’ll want to think about other options like vinyl. If you’ve ever driven around and saw an ornate fence serving as the grand entrance to someone’s driveway, this type of fence is considered ornamental and decorative. Pre-assembled decorative aluminum fencing can truly enhance your home’s exterior or pool area while providing security. To prolong its integrity, aluminum fencing can be powder-coated to provide a chip-free, rust-resistant finish which should last for about 20 years without needing repainted. Ornamental fences can be found in an array of sizes and colors for all sorts of uses around your home. The fence experts at Pittsburgh Fence Company can work with you to decide on which fence type is the best for your home. Whether you’re looking for privacy around your backyard, added pool security or something just to jazz up your property while boosting your home’s value, visit Pittsburgh Fence Company at 412-276-4822! We serve Allegheny, Beaver, Butler, Washington & Westmoreland Counties. Our team of professionals are readily available to assist each client during the planning stages of their fencing project. We will work with you to select the best fencing types and materials to complement the overall look and feel of your home. You can expect your fence to be an attractive, safe and secure addition to your outdoor space.